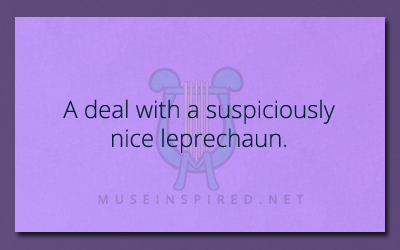 What’s the Story – A deal with a suspiciously nice leprechaun. What's the Story - "I've got this. Pass me that tazer."